Iceland is one of those places that is just undeniably beautiful. You can see the beauty just driving the main road, Ring Road, but there are also a number of off the beaten path places that turn the everyday beauty up by 10. 1. Selijavallalaug Pool: You have probably seen this pool in a number of photos…it’s situated in the valley between two large mountains. And it’s pretty cool walking towards it, since there is a pool in the middle of nowhere. Selijavallalaug is a natural hot spring pool constructed in 1923. The pool has a rock wall where the water seeps out of a rock and collects. The pool is not regularly maintained, so most of the ground is covered in algae. There is a bathing house to change, but it’s not extremely nice, so plan on wearing your suit there and back. How to get there: While on the Ring Road, turn into Road 242 marked Raufarfell. There is a parking area close to a farm with a 20-minute hike to reach the pool. There are 2 streams to cross…the first is small and the second is a bit larger. After the second stream, it’s a 10-minute walk towards the bottom of a valley. Allow 1.5 hours. 2. 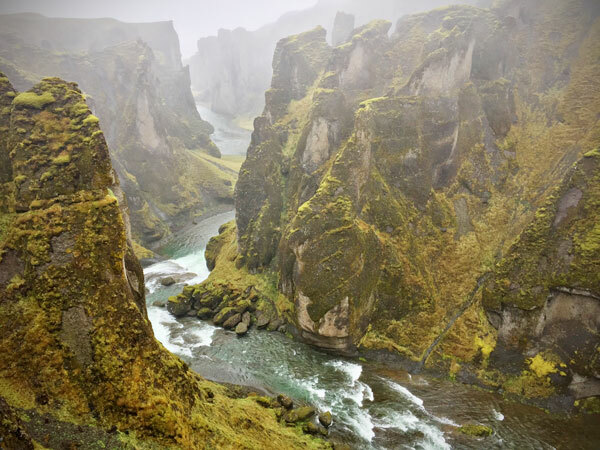 Fjaðrárgljúfur Canyon: This is another place in Iceland that suddenly has millions of images floating around the web. It is just as breath-taking in real life as the photos, trust me! The canyon has been hollowed out over millions of years from the Fjadora River. It is located in the southern portion of Iceland, between the towns of Vik and Hof. When I was there last May they had just completed some walking paths and barriers, so stepping right to the edge of the canyon is not an option anymore. There are a number of hiking trails, including one that will take you down into the canyon. We decided not to do this because the day we visited it was rainy, cold and the wind was blowing. How to Get there: While on the Ring Road, turn onto road 206. Drive for 1.5 miles until a fork; turn left (note: this is a gravel road, so drive carefully!) There is a small parking lot and restroom facilities. There is a trail right at the parking lot to a path towards the upper portion of the canyon. Allow 1 hour. 3. Abandoned Plane: First things, first: get ready to walk a 9K there and back! Back in 1973, a small passenger plane crashed on Sólheimasandur’s black sand beach in the south of Iceland after experiencing some severe icing. Everyone survived, but the fuselage was left behind on the beach, creating a photographers' dream location shoot! 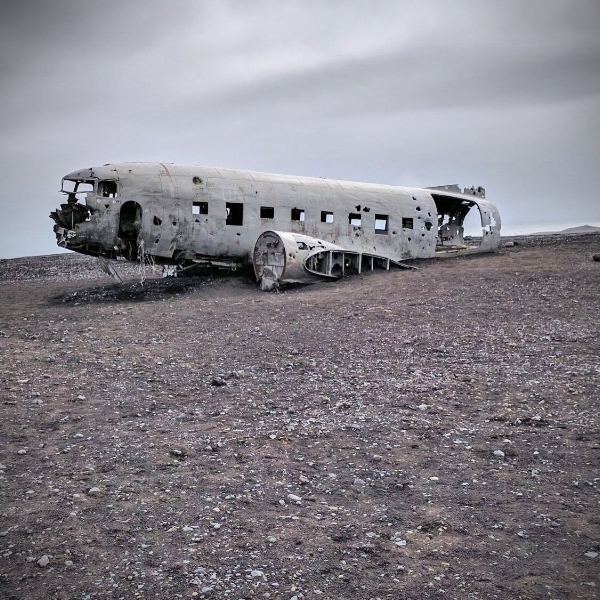 How to Get There: The Sólheimasandur airplane wreckage is located on Iceland’s Southern coast between Skógafoss waterfall and the town of Vik. After driving past Skógafoss going East on Route 1, you’ll cross a bridge with blinking yellow lights and a dirt access road to Sólheimajökull Glacier on the left. You used to be able to drive right up to the site, but the landowners have since banned driving. There is now a parking lot to park your car and get out and walk to the site. How to Get There: The Stafafell to Hvannagil 14.3 km Canyon Hike that starts in a living room can be started HERE with a trip to the farmhouse to request a map. Been to any of these? Have more questions? Comments below and join our community in the footer by signing up for our email list, prizes await!